The Lancashire Autism Partnership Board (LAPB) was set up to make sure the points in the Autism Act happen. Our members work in small subgroups that cover these and help to change the way we do things. 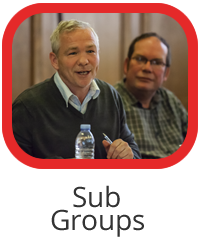 Our Active subgroups are – Training Learning and Development; Employment and Education;Diagnosis, Assessment and Support Planning. The following groups need to be re-established: Transitions; Communication and Engagement. We therefore need fresh members to progress board activity. Members can be professionals from relevant organisations, parents/carers and autistic adults. The LAPB also has a family and carer group which meets once every two months and feeds into both the main Board and the themed subgroups. The group acts as a ‘critical friend’ to the Board to ensure from a ‘hands on’ approach that the Board meets the needs of autistic people and follows the themes of the Autism Act. More information on the subgroups and what they do can be found in this section of the website by clicking on the subgroup name.